Just lost a wonderful Icelandic that I had been treating since January 2005. 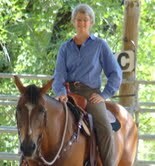 Ari was 16 years old and had been struggling with laminitis since 2000. Ari showed classic signs of cuhsings, such as a long curly coat, and laminitis and chronic hoof abscesses, but his condition had worsened when he had been treated previously with the drug, pergolide. In 2005 there was not nearly as much understanding of the relationship between cushings and insulin resistance so I proceeded to treat Ari with homeopathy to address his symptoms. He responded to Silica and his abscesses opened up leading to more comfort in his feet. I also adjusted Ari’s diet to lower the sugars he was getting and I added antioxidants such as blue green algae, algae/wheat sprouts, CoQ10 and noni juice. Ari has been on high levels of bute so we added aloe vera juice and slippery elm to support his stomach. Once Ari’s abscesses healed, we changed his homeopathic remedy to Graphites to address excessive oily sweat and swelling of the sheath. Over a year Ari received 6 different homeopathic prescriptions as symptoms arose, but he continued to have issues. He was completely off of bute so that was a gain. In January 2006 Ari was tested for insulin resistance and tested a strong positive. We made even more adjustments to his diet, including testing of all of his hay to measure sugar and mineral levels. Ari had good and bad days during the following year but the tight diet definitely helped him. Hoof trimming was also done carefully with the help of radiographs to determine the best angles. Blood work in February 2008 showed the insulin resistance better controlled but ACTH levels were very high. With the confirmation of cushings we decided to try the pergolide again now that Ari had the correct diet and homeopathic treatments in place. The results were dramatic. By April 2008 Ari was back under saddle. Over the next 10 years Ari continued to have a great life. His pergolide dose was gradually increased to 6 mg and homeopathic remedies and diet adjustments were made as needed. Ari died suddenly in January 2018 at the age of 30. Homeopathy was a huge help to Ari throughout his life but there is no remedy specifically for cushings. The high levels of ACTH from uncontrolled cushings caused elevated levels of steroid hormones in the body. High levels of steroids impede healing and lower immunity. High steroid levels also damage the digestive tract and set the horse up for laminitis and chronic infections. Homeopathic remedies do not work well when the body is under the influence of high levels of steroids and this is why we did not see lasting improvement with our remedies. Once the drug, pergolide, controlled the high ACTH levels, we saw much better response to our remedies and used them rather than drugs to treat any issues that occurred. So even though homeopathic remedies did not directly treat cushings they did allow Ari to have a very happy life even as he struggled with severe metabolic issues. I learned so much in my years of treating Ari, including the balance of diet, antioxidants, drugs and remedies to provide quality of life in a holistic approach to treating Equine Cushings disease. If you are looking for ways to treat your horse with a holistic approach, Dr. Ward’s book, Holistic Horsekeeping: How to Have a healthy Happy Horse from Stable to Stadium is a good place to start your research. In 139 pages, this book gives you an introduction to the world of holistic medicine and how it compares to natural or alternative approaches. There is also information on using the holistic approach with homeopathy, acupuncture, chiropractic work, osteopathy, nutrition, hoof care, joint health, vaccinations, chronic conditions, training the performance horse and much, much more. If you are new to using a holistic approach with your horse, this is a great resource to help you gain a better understanding of what holistic horse keeping really is. If you are in a more advanced category of learning, consider signing up to mentor with Dr. Ward. This one-on-one study concentrates on an individualized educational program that allows you to gain from Dr. Ward’s long experience in holistic equine treatment.